Every year, millions of tons of plastic are discarded into landfills, where they will take hundreds of years to break down. New biodegradable plastics offer a potential solution to this problem. Let’s back up and talk about “traditional” plastics first. In addition to being landfilled, some plastic is disposed of improperly, leading to plastic pollution on land and in lakes and oceans where they persist. Once in the environment, animals can accidentally eat the plastic but are incapable of digesting it, so the plastic just sits in their stomachs. Over time, the plastic can block off their digestive system, and the animal will starve. Luckily, there are plastics that are designed to break down rapidly upon disposal. These types of plastics are known as biodegradable plastics, meaning that organisms can decompose the plastic in the environment. When biodegradable plastics are decomposed, they are converted to chemicals found in nature, often carbon dioxide and water. The organisms that carry out the decomposition are generally microorganisms like bacteria. Instead of hundreds of years, most biodegradable plastics take only a few months to decompose after they’ve been thrown away. Many of the biodegradable plastics produced today can be made from renewable resources. I’m going to talk about a few different biodegradable plastics in use today. A biodegradable plastic that is heavily used today is called polylactic acid, or PLA, for short. Polylactic acid is most often made from corn. It has a variety of uses, the most notable being for plastic cups, but it can also be used for compost bags, disposable tableware, and in upholstery. An interesting application for PLA is that it can be used in a 3D printer. These printers have a large variety of uses from printing gears for manufacturing, parts for household items, and even in tissue engineering. Do you want to know if that plastic cup you’re drinking from is made out of polylactic acid? Simply look at the bottom of the cup for the number 7 inside the recycling symbol with the letters PLA underneath. If it’s there, then the cup was made from polylactic acid. PLA’s ability to biodegrade is not what you might expect though. 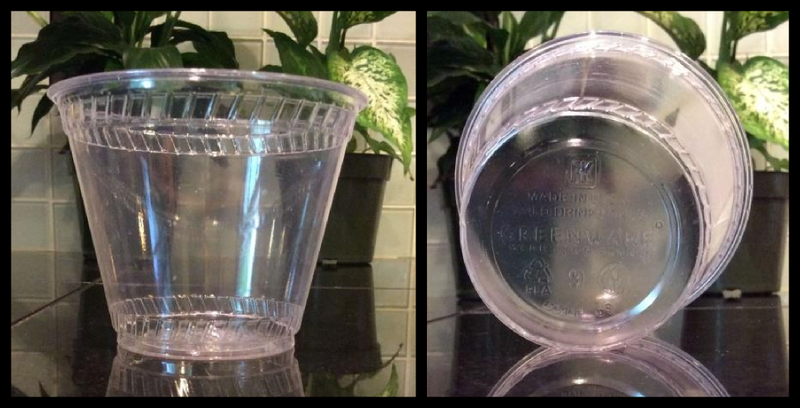 You can’t simply throw these plastic cups in your back yard and expect them to disappear in a few days. This plastic takes some relatively specific conditions and a sufficient amount of time to decompose. For example, polylactic acid plastics will almost fully degrade after about 60 days if you put them in a special digester at 55 °C. At 35˚C, it takes 55 days for degradation to begin. This may sound like a pain, but one positive aspect of this process is it produces methane as a byproduct, which can be burned to generate energy. Perhaps more practical to the average consumer, PLA can also decomposed to carbon dioxide and water in a compost bin (90% biodegradation after 90 days). While bacteria can degrade PLA, they can also synthesize the building blocks for another type of biodegradable plastic. This class of bacterially produced plastics is known as polyhydroxyalkanoates, or PHA for short. Scientists can coax certain types of bacteria into making these substances by limiting the bacterial nutrients and giving them excess energy sources (like sugars). The bacteria store this excess energy in the form of these compounds, just like we store excess energy in fats. By changing the growing conditions and providing the bacteria with different building blocks, they can produce an incredibly wide variety of these plastics—each with its own unique set of properties. One plastic of this family of plastics was developed in the 1980s and marketed under the name “Biopol.” This plastic is particularly strong and flexible compared to other biologically derived plastics of its kind. It can also withstand a great deal of heat before it decomposes, which is useful in the manufacturing process that occurs after the plastic is removed from the bacteria. The scientific name for this particular plastic is polyhydroxybutyrate-co-valerate, also known as PHBV. It finds uses in areas as diverse as specialty packaging and medical implants. These plastics (PHA and PHBV), just like PLA above, require extended periods in environments where microorganisms are present to break them down. 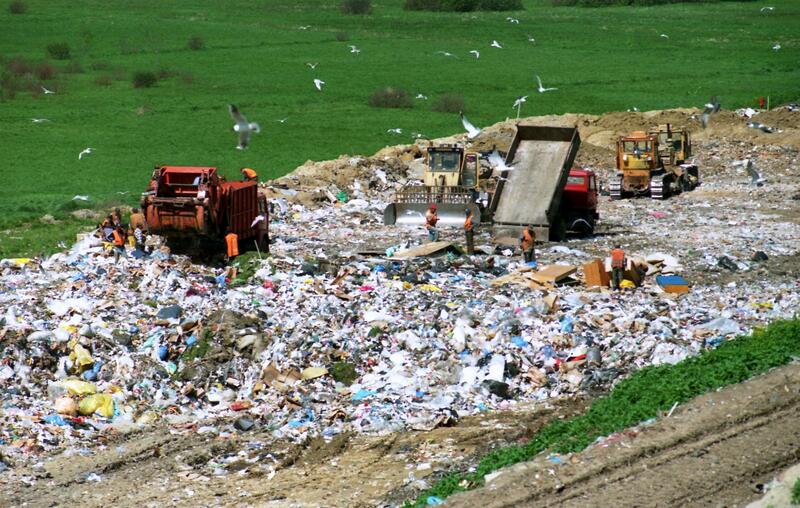 Scientists have shown that in a “simulated landfill” environment, PHBV loses 60% of its weight after 350 days. In a digester similar to the one I described above for PLA, the PHBV plastic decomposes much more rapidly—undergoing 78% decomposition after just 30 days. 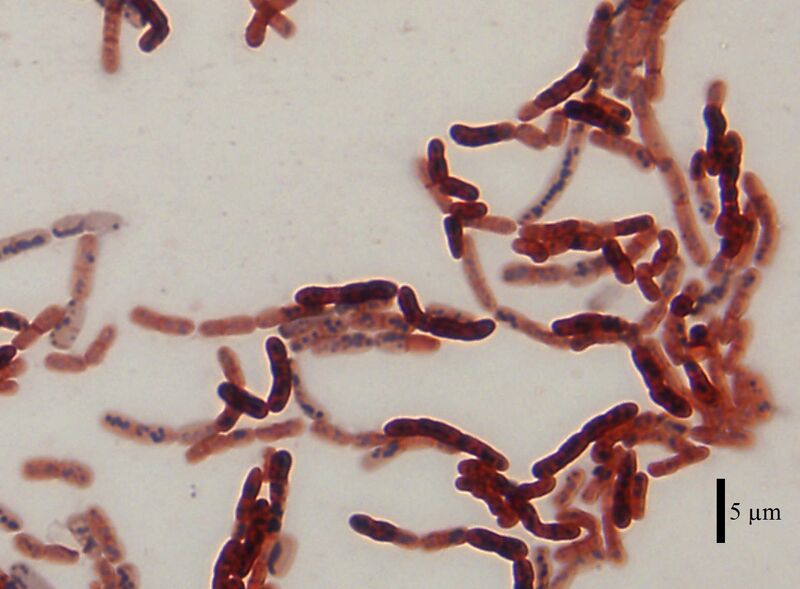 Bacillus megaterium is one of the bacterial species that can make polyhydroxyalkanoates plastics. Image source. Finally, there is a type of biodegradable plastic that can be made from a chemical that is found in insect bodies, fungi, and in the shells of crustaceans, like shrimp. This chemical is called chitin, and is incredibly abundant in nature, which makes it a great source for plastics. In order to actually make this plastic, the chitin must first be converted to a chemical called chitosan by treating chitin with sodium hydroxide. Then, the chitosan is mixed with components of silk, another reasonably abundant material. This type of plastic is slated to have applications as varied as the medical field and regular consumer plastic bags. This plastic is broken down in compost in about 2 weeks, and in addition it releases plant-growth promoting nutrients during the biodegradation process. 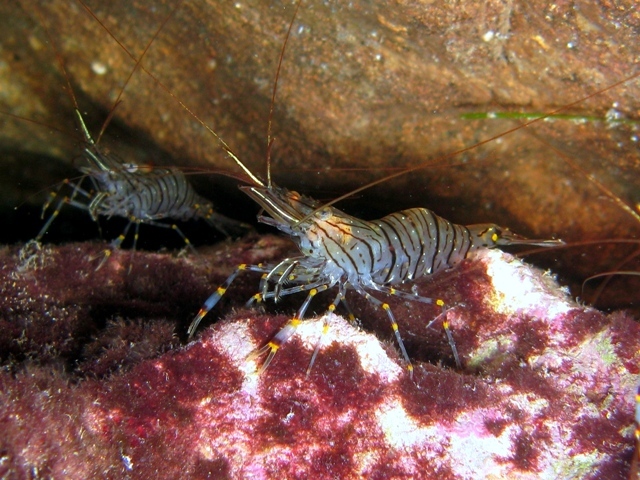 Chitin, a component of plastics, can be obtained from the discarded shells of shrimp. Image source. These are just a few examples of the many different types of biodegradable plastics that are currently being studied and manufactured today. While it is clear that these plastics should persist in the environment less than their petroleum-derived counterparts, there are still drawbacks to their use. The source of PLA is corn, which means that more acres of land will need to be devoted to growing corn to increase the supply. There are concerns about devoting land to growing crops not destined to be eaten. In order to obtain sufficient quantities of chitosan, shrimp may need to be farmed, which would impact ecosystems and the environment as well. A full accounting of the viability of these bioplastics as alternatives to petroleum-derived plastics (see here, here, and here – subscription required) is far beyond what I want to cover in this particular post. However, I hope I’ve shown you how neat biodegradable plastics are, where a few of them come from, and how long they take to break down. I certainly hope research continues in this exciting area of forward-looking chemical production. Thanks for a great overview! Chitosan, like other plausible “temporary” plastics from natural materials, is a particular nightmare for manufacturing and Quality Control. PLA and PHA manufacturing can be tightly controlled for things like molecular weight, branching, particle size, solution viscosity, etc, much like their petroleum counterparts. However, no two batches of chitosan will be of the exact same composition. One solution is to potentially farm them to get consistent quality, but seafood farming is proving to be an optimal place for deleterious microbe population explosions. The ideal situation is to use the existing shrimp industry’s waste stream. Perhaps working with existing shrimp farmers and “stealing” from their waste stream from shelling would solve both problems at once and even be good for business! Now we just need to figure out how to put it into a 3D printer. I love the term “temporary” plastics! Thanks for your adding your insights to the discussion! I hadn’t thought about reproducibility of chitosan production. What an interesting problem. Turning waste into not-waste definitely seems like the way to go. Thanks again!